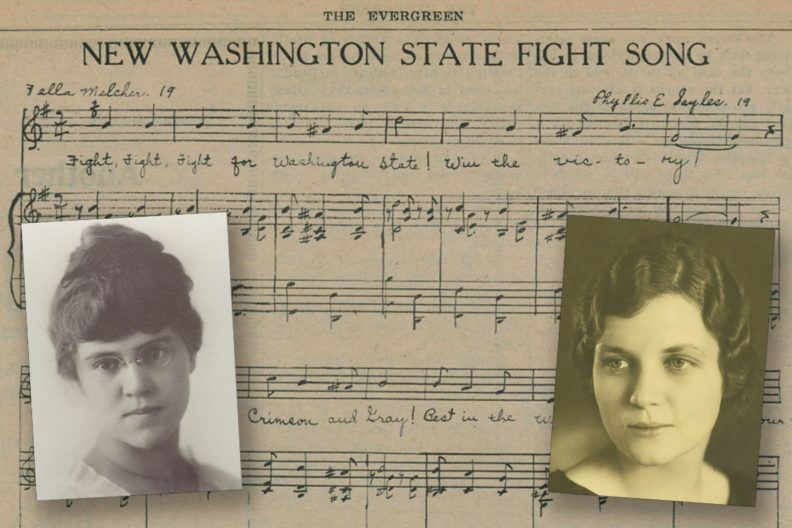 Zella Melcher and Phyllis Sayles, l‑r, composed the Washington State Fight Song as WSC students in 1919. 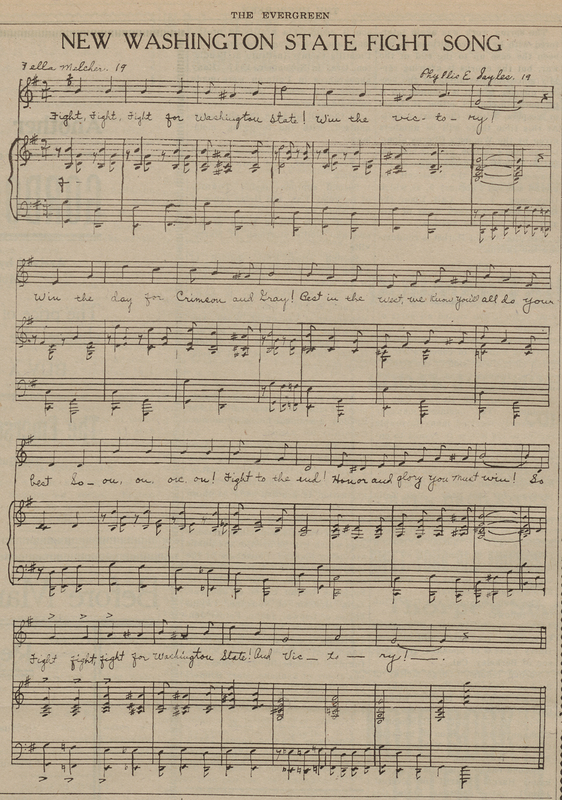 Washington State Fight Song stands the test of time. 100 years later, it’s still the most popular at the university.